Home » hot games » Infinity Ward crafting next-gen Call of Duty? In October, a job listing at Call of Duty studio Treyarch indicated that the developer was readying a next-generation entry in the shooter franchise. Now, it appears Infinity Ward is also preparing a next-generation Call of Duty game. A requisition for a senior animator at Infinity Ward calls for a person with "an interest in working with next-generation technologies." Unfortunately, the job listing does not offer any additional information about what Infinity Ward may be at work on. As for what next-generation technologies could pertain to, there are numerous possibilities. At the 2011 Electronic Entertainment Expo, Activision pledged its support for Nintendo's Wii U, and rumors are swirling that Microsoft and Sony are readying new consoles. If Infinity Ward is indeed at work on a next-generation Call of Duty title, it won't be the only project the studio is crafting. 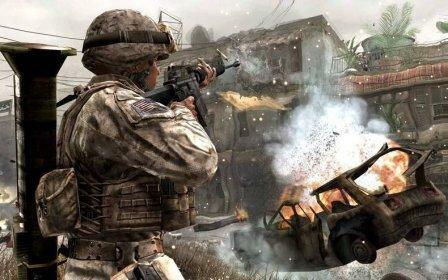 Last week, Activision announced the Modern Warfare 3 content season, and it named Infinity Ward, Raven Software, and Sledgehammer Games as developers for the barrage of game updates planned over the next nine months. A new Call of Duty game has been confirmed for release in 2012, but Activision has yet to name this title or mention what developer(s) are working on it. That game has no release date yet, but Call of Duty has had new installments debut between late October and mid-November every year since the franchise was launched in 2003.